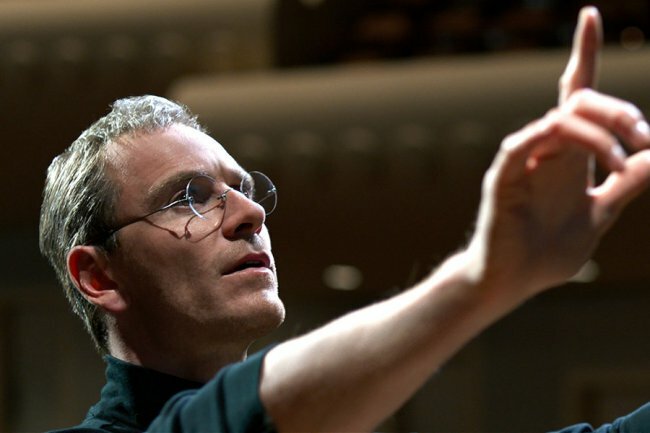 Today will host the premiere of the biopic “Steve jobs”, but we continue to share with you new details about the filming process. The movie is directed by Daniel Boyle, despite the obvious differences in appearance of Michael Fassbender and jobs, believes otherwise. According to Danny, the make-up artists and stylists were able to achieve an amazing likeness of the actor with the prototype. “I remember I came on set and saw an unknown guy. I was very surprised, because the Director just has to know his team not only in the face, but by name, recalls Boyle. – I tried to remember it and thought who is this guy?! And then it dawned on me: Michael! But when he deteriorated so rapidly?”. According to Daniel, this incident happened during filming one of the final scenes of the film. He had no idea that specialists in costume and make-up will be able to achieve the transformation of Fassbender in the founder of Apple. But more than that the Director was amazed by the playing of Michael. A very strange statement Boyle, especially considering the comments of the critics about the lack of similarity in appearance of Fassbender Steve jobs. To justify the Director can only clichéd phrase, “he’s an artist, so he sees”. Even Christian bale a lot more like Steve than Michael. Perhaps all compensated by the excellent script and the dedication of the actors.